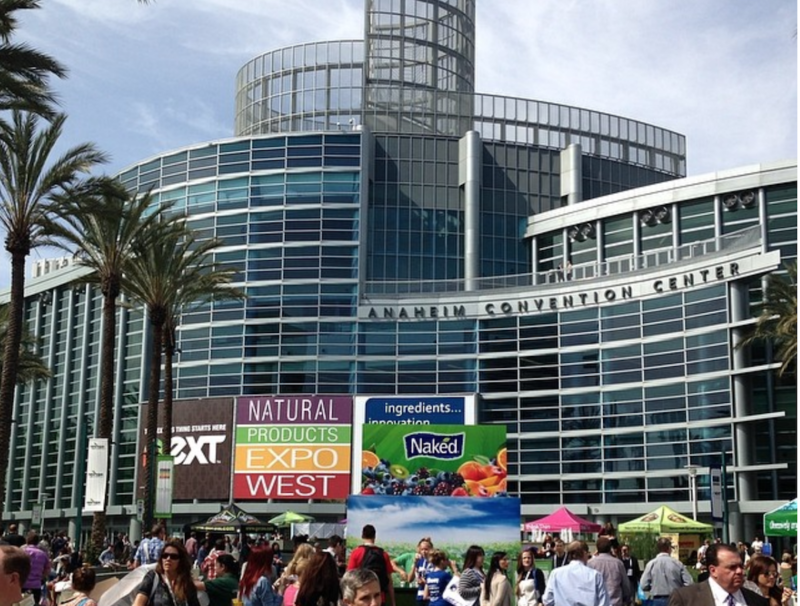 Last weekend, marked another eventful Natural Products Expo West at the Anaheim Convention Center. 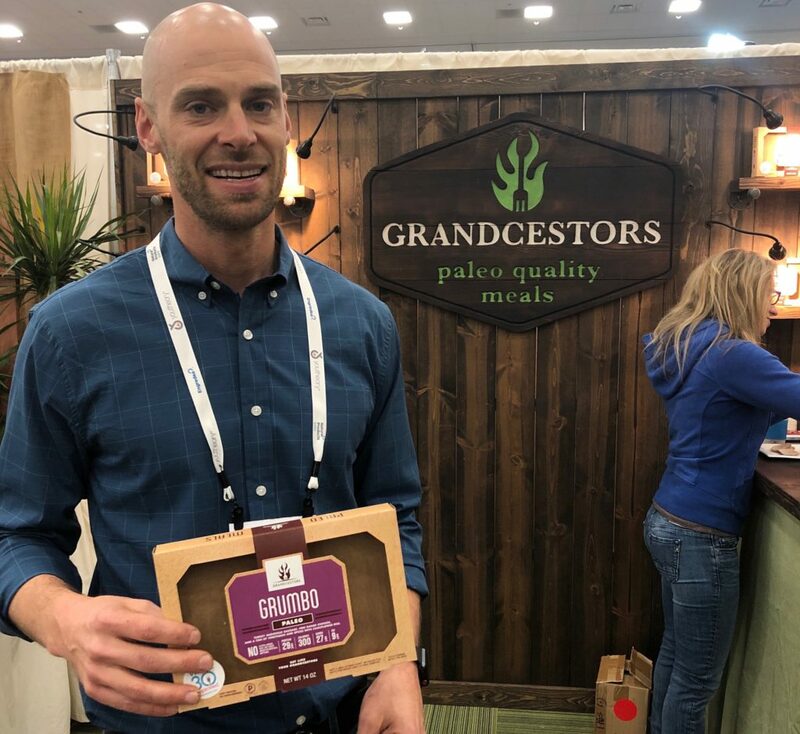 The Expo West is excellent for both maintaining relationships with the organic and sustainable food brands I know and for discovering new companies and products. And every year, I find dozens of brands I’ve never heard of. I also always learn what the new trend is in natural products. For 2018, it was frozen meals and instant soups with a twist — They’re made from real food! This newfound trend doesn’t come as a complete surprise. Several years ago, a colleague stated that he prefers to make everything from scratch as prepared meals are filled with unnatural preservatives. While I agree with this sentiment, I also know it can be daunting for many people to do all of the measuring, cutting, marinating, seasoning, sautéing, and/or roasting themselves. I envisioned a concept where manufacturers start offering prepared meals using only real ingredients. At this year’s Expo West I’m pleased to say I could find that. The prepared meals can be divided into two categories. The first is frozen meals using real food. If you asked me a few years ago what frozen meals used pastured meats, I wouldn’t be able to name any. Additionally, frozen entrees would typically contain sugars and hard to read ingredients. I met about a couple companies at the Expo West last that offered ready cook meals with nutrient dense food. This year, that number more than doubled. 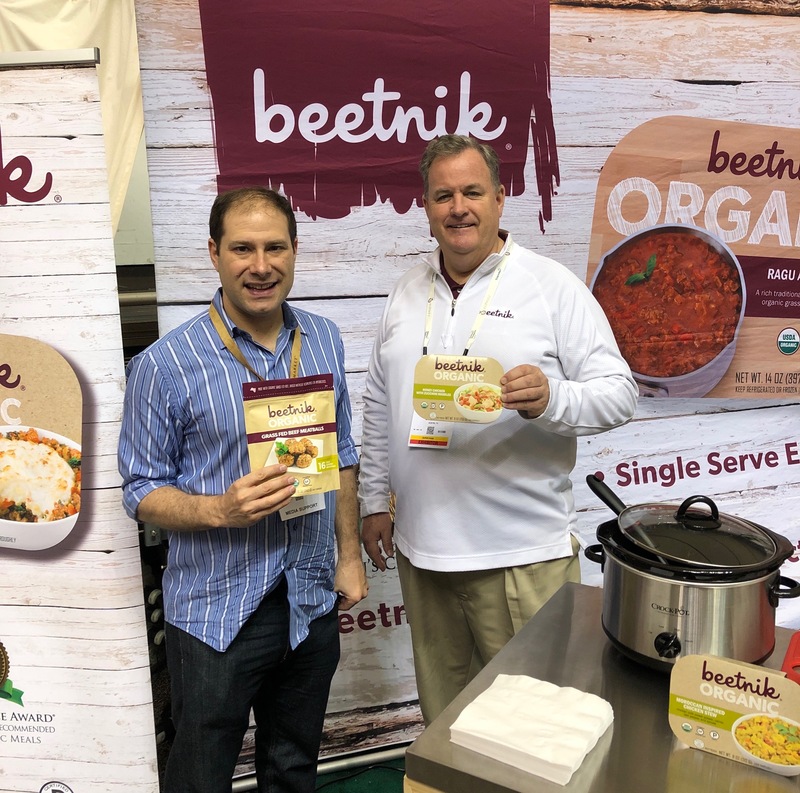 Beetnik is a company that I was introduced to at last year’s Expo West. They make organic frozen meals using grass fed beef and chicken. They now provide 18 different meal options that get as diverse as a chicken and vegetable stir fry to chili and sweet potatoes. Many of their meals are Certified Paleo. At the current Expo, they introduced their new zucchini noodles products. Another returning favorite this year was Grandcestors. They make frozen meals featuring a variety of pastured animals, including beef, chicken, and turkey. All of their choices are Paleo Friendly certified and Whole 30 approved. The options include a meatloaf and their version of gumbo called grumbo (pictured above). Plus if you’re in the need for a paleo stuffing this Thanksgiving, they’ve got that covered. Primitive Feast was a fresh new face for me this year. Their dishes contain grass fed beef and organic chicken prepared in their flavorful sauces. All of their items are free of gluten, milk, and soy. I had the fortune of sampling their meatballs and chili. As a winner of a chili competition a couple months ago, I approve. 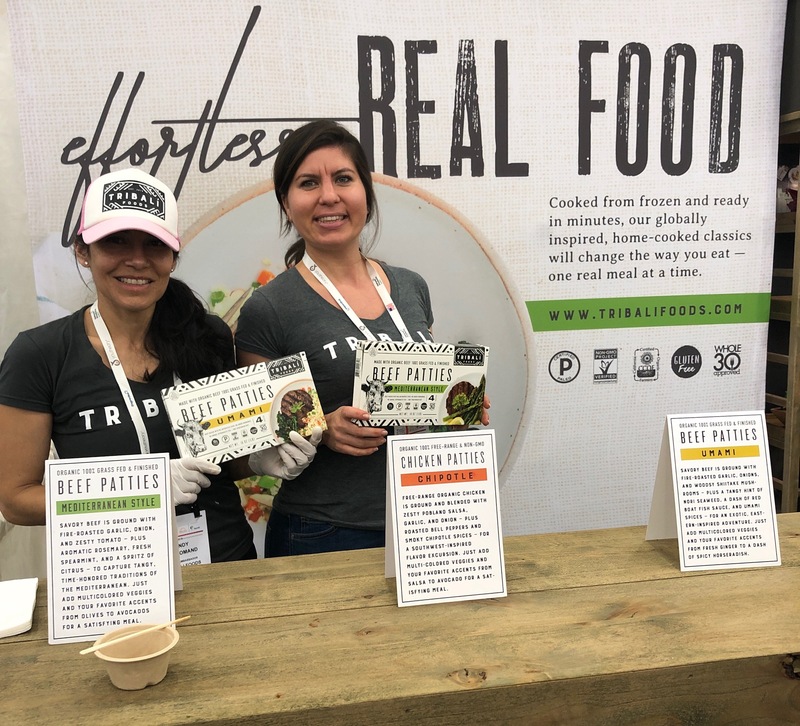 The sign in the photo above that says “effortless real food” is the perfect description for Tribali Foods‘ products as well as the other exhibitors I’m covering in this article. Tribali’s speciality is organic chicken and 100% grass fed and grass finished beef patties that are Certified Paleo and Whole 30 approved. 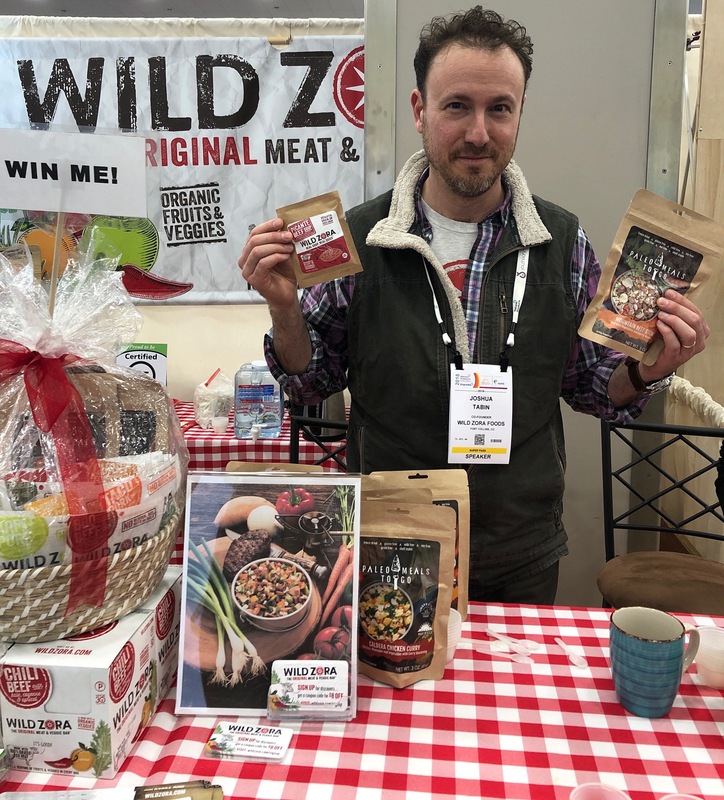 I got to know the people at Wild Zora and their meat veggie bars very well last year. Since then, they’ve greatly expanded into both frozen meals and instant soups. Their entry into frozen meals comes with the acquisition of Paleo Meals to Go. Similar to how Wild Zora produces dehydrated meat and veggie bars, Paleo Meals to Go made freeze dried meat and veggie meals ready to go after adding hot water. Similarly, Zora is also launching a line of soups that can be served instantly after adding hot water. Some of the choices of their soups and Paleo Meals to Go can be seen in the photo above. 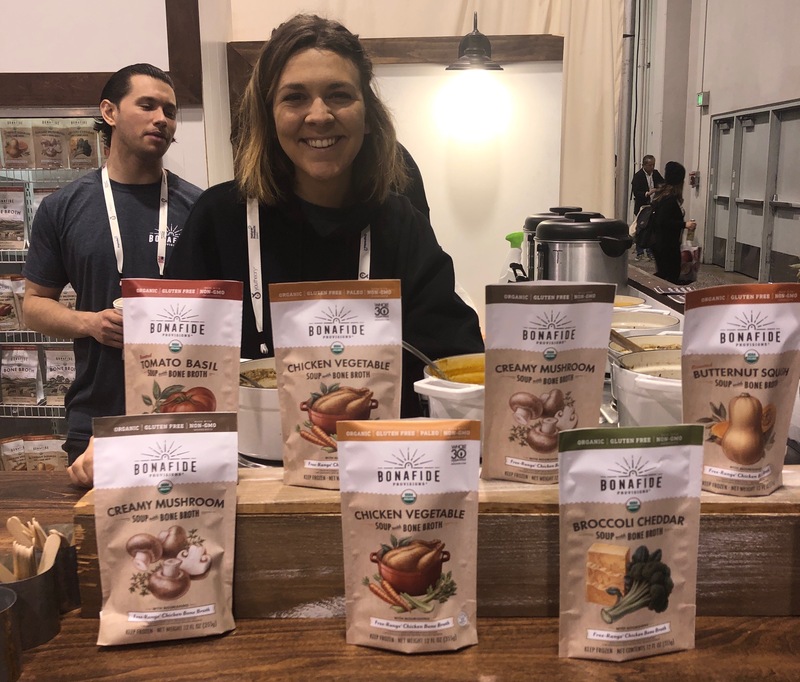 At the 2017 Natural Products Expo West, I reported about the rise of true gelatin rich bone broths. This time around, a number of those companies began taking it a step further by using their beautiful broths to serve as a base for soups. Previously, any soup you’d find in the supermarket was lacking in nutrition. Even certified organic soups either consisted a high temperature cooked bone broth or didn’t contain any broth at all. These organic soups also often tended to add in sugar. Plus these soups were kept in cans lined with BPA. Bonafide Provisions was one of the first companies to make real bone broth (also their original name) to consumers. I’ve known them from the beginning. It’s always a treat to visit them at trade shows and hear what’s new. 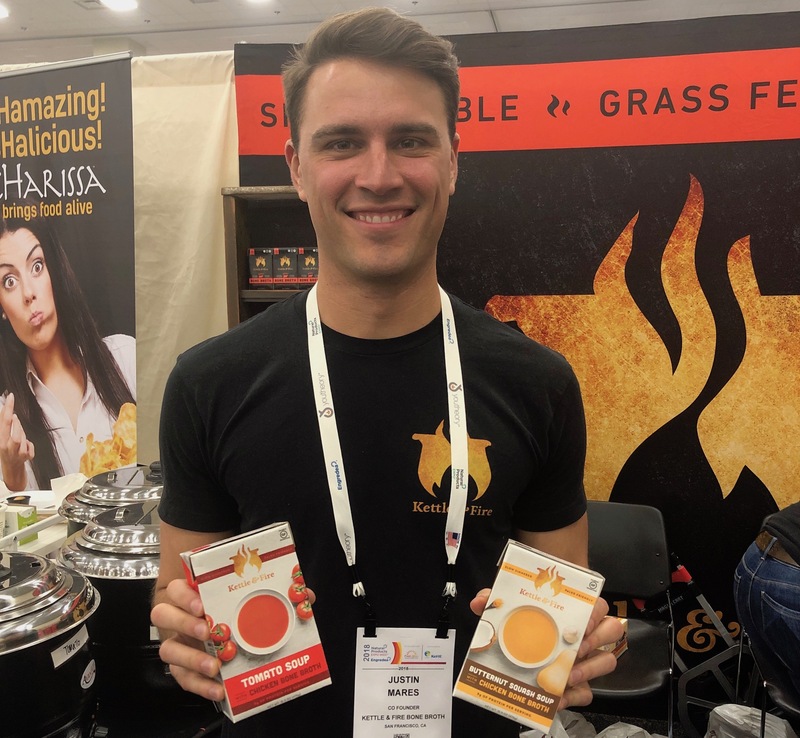 So at the 2018 Expo, I was delighted to see them hit the ground running with the seven different soup varieties made with legit bone broth. All of those soups are pictured above. Known for their break through vacuum packaging which keeps the broth shelf stable, Kettle & Fire was another returning exhibitor to now have ready made soups. Their two flavors are tomato and butternut squash, which I noticed a number of the Expo’s broth makers were offering. Having followed the bone broth explosion closely, I’m familiar with The Osso Good Co. I learned about them through social media, but never had the opportunity to meet them in person or try their broth. 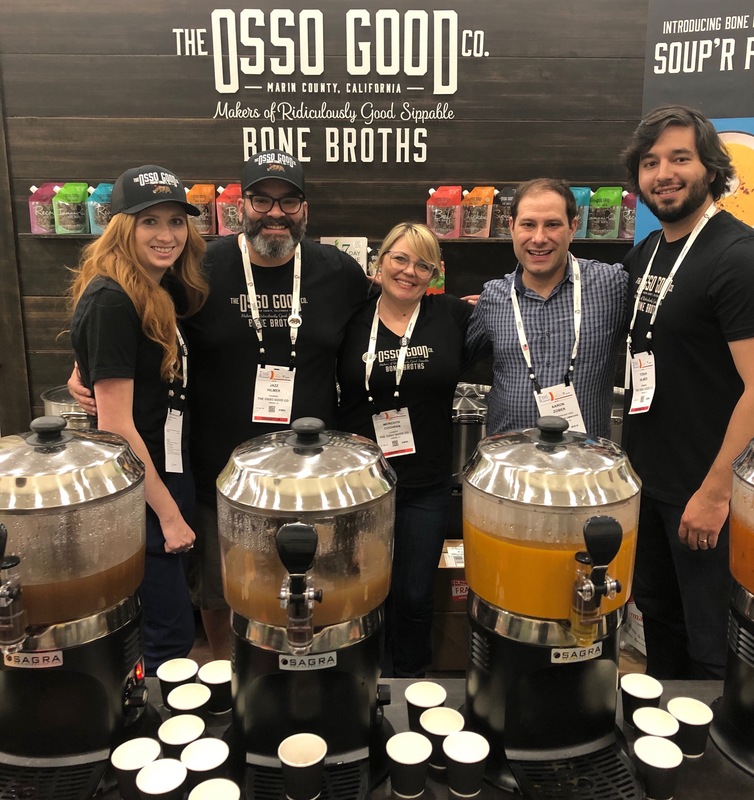 At the Expo West, I was both able to sample their broths and learn that they’re also on the soup train with their cleverly titled soup’r foods. Their options are tomato basil, butternut squash, and Thai carrot. So goes another successful attending of the Natural Products Expo. What will be the new trend next year? We’ll just have to wait and see. 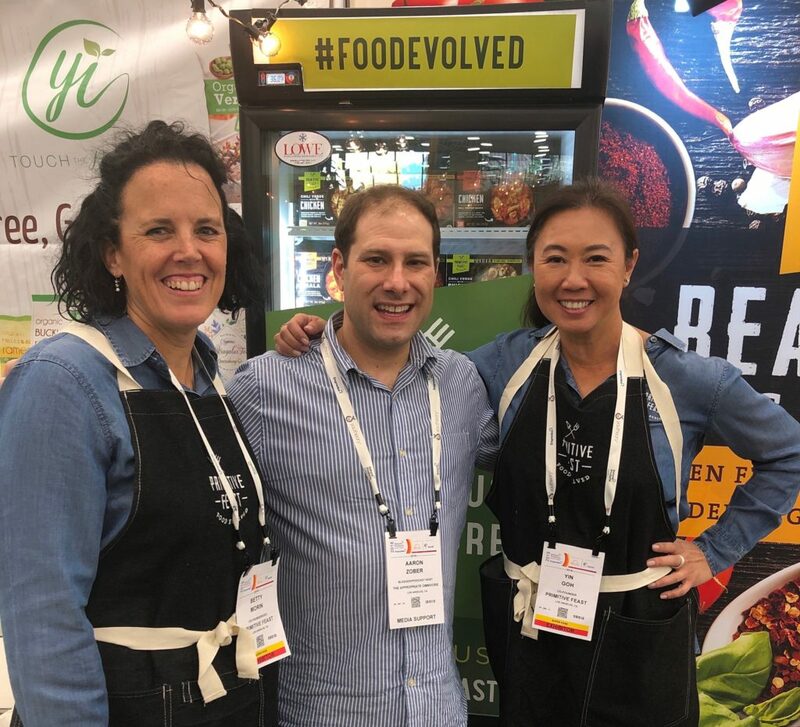 But before moving to other real food topics, stay tuned for my article on the rest of my discoveries at the 2018 Expo West.